Idea for an internal presentation as a freelance team for Demner, Merlicek und Bergmann (DMB). The briefing was simple: “Secure your finances. 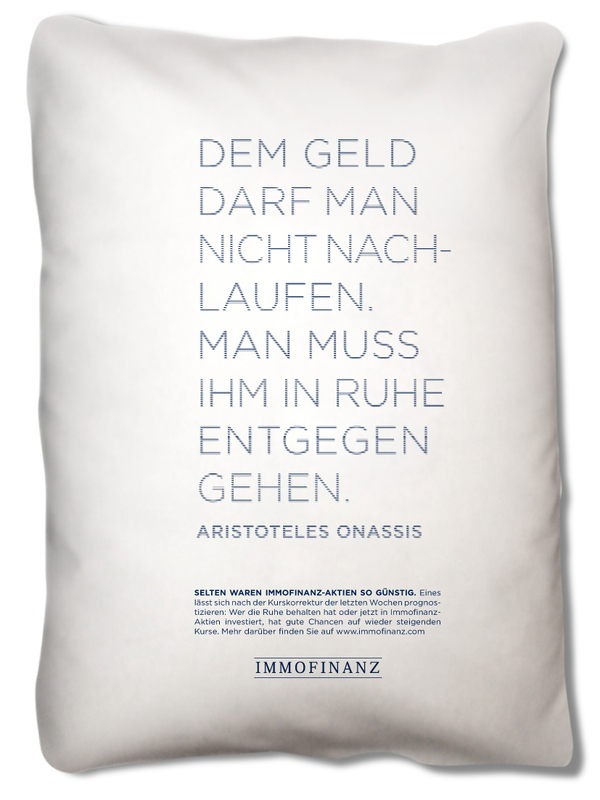 Buy Immofinanz shares.”. 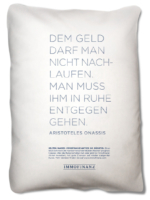 We replied the brief with a quote from Aristotle Onassis: “You must not run after the money. You must walk towards it calmly.”.